After a plague of vampires was unleashed in the world, Katie was kicked out of the safe haven of her Amish community for her refusal to adhere to the new rules of survival. She enters an outside world of unspeakable violence with only her two friends and a horse by her side. And yet through this darkness come the shining ones: luminescent men and women with the power to deflect vampires and survive the night. But can they be trusted, and are they even people at all? In this sequel to The Hallowed Ones, it's up to one Amish girl to save her family, her community, and the boy she loves...but what will she be asked to sacrifice in return? 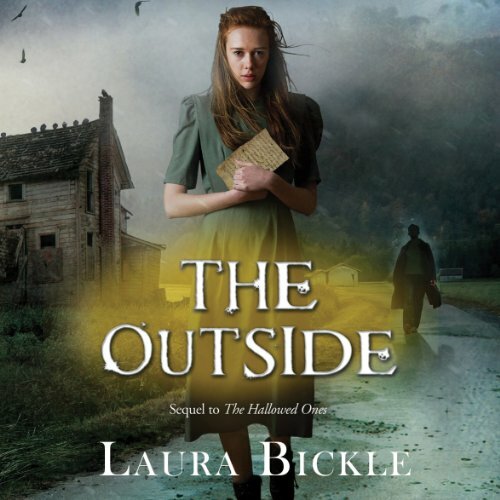 ©2013 Laura Bickle (P)2013 Audible, Inc.
A good sequel following the adventures of Katie and Alex as they venture into a changed world. A delightful read. A new enjoyable twist. What did you love best about The Outside? The author conveyed Katie's story as believable and told a heartfelt enjoyable story. The complex character that was Katie acted like a real person with her traits would. She was so likable and caring. What about Nora Hunter’s performance did you like? When Katie realizes that her family is going to honor the band after she has returned. Nora Hunter was terrific. She conveyed the characters and made a great story even better. A really fun listen that incorporated important themes in what could have easily been just another slasher book.